Books by Heather: It's Here! I've pulled out the big fluffy socks from the bottom of the drawer, and I'm currently snuggled up in a blanket (one of my favorite things to do). It went from 95* last Friday to 70* on Saturday. This coming weekend temps are supposed to dip into the 30s. I guess there's no gently easing into this season! I have some exterior painting to do, so I do hope it warms up to the 70s again soon--I don't paint well while I'm shivering. 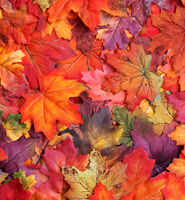 Has fall hit where you are? Anything you're looking forward to about it? I think Fall is here too (Georgia). We've gone for being in the upper 90s to the upper 70s yesterday but we finally got some rain and that's what really felt cool. It's been so dry I'm afraid the Fall leaves aren't going to be as pretty as they usually are. Fall is definitely here in the Big Apple and I love it. Yesterday it was a bit chilly because of the rain. Snuggling in my blanket, hot chocolate on my table and a good book makes a great Fall. Fall arrived here a few weeks ago, when the temp fell from 90 to 60 in one day. I like the cooler temps, though I balk at hauling out the turtlenecks already. Still, there's nothing like hiking through the local apple orchard on a crisp, autumn day. MC, we finally got some rain, too. Not nearly enough, but it was nice while it lasted! Ooh, Dru, hot chocolate sounds so good. Might have to make some tonight. While I snuggle with a book, of course! No Fall here in San Diego. We had one of the most mild summers on record. The beach folks really complained about it because it was cool and overcast a lot this summer at the beach. Yesterday it was 111 degrees in the inland areas and 95 at the beach. I hope this doesn't mean we are going to have a HOT Fall to make our for our lovely (at least inland) summer. And goodness Heather....95 to a forecast looking at the 30's coming up. Wow! Fall is my favorite season. Always look forward to the leaves changing, apples and football. Weekends are perfect for reading and drinking warm cider. I want you to know I was your first commenter this morning. Wrote a lovely comment on my thoughts on fall, tried to post and got an error message. Didn't have time to type it again - but I did try. I'm pretty sure I said something about the crisp air, the colors, football games (especially my grandson's), getting out the warm clothes, leaves crunching underfoot, and flannel sheets on the bed. Linda, I heard about that heat wave out there. Crazy!!! Hurry to the beach before it gets chilly. I've been craving apple pie, Lisa, but I'm not a cider fan. The rest of my family is, though! Blogger gets touchy now and again, doesn't it, Linda? It ate a whole post of mine the other day. Flannel sheets are soooo nice. And thanks for the warm weather vibes! Autumn has just started here (Oklahoma). I LOVE this season. We had over 90 straight days of 95 degrees or above so when it hit 80 degrees here it felt like winter! I have already pulled out all my fall decor and decorated for halloween. Can't wait for long sleeve shirts, cute boots, and long walks.